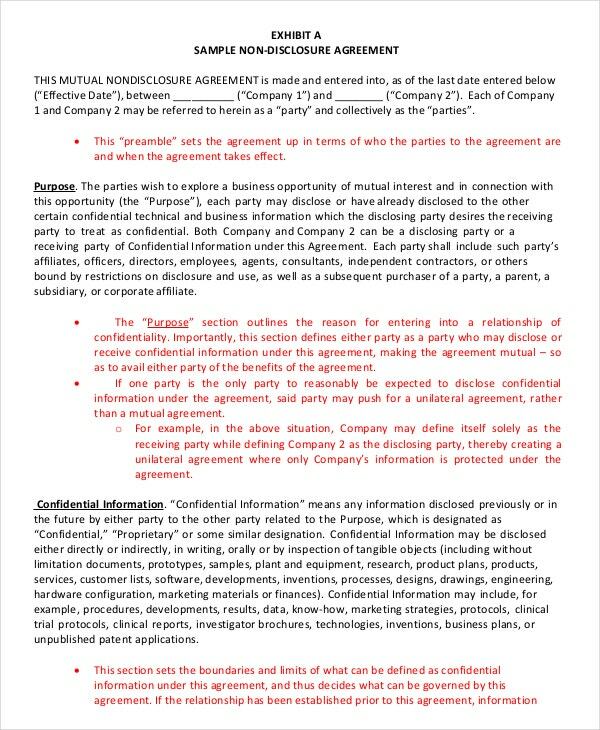 When there is business or deals that are kind of venture by two companies, mutual non-disclosure agreement is needed so both parties that are working together will have a mutual understanding of confidentiality of trade secrets. 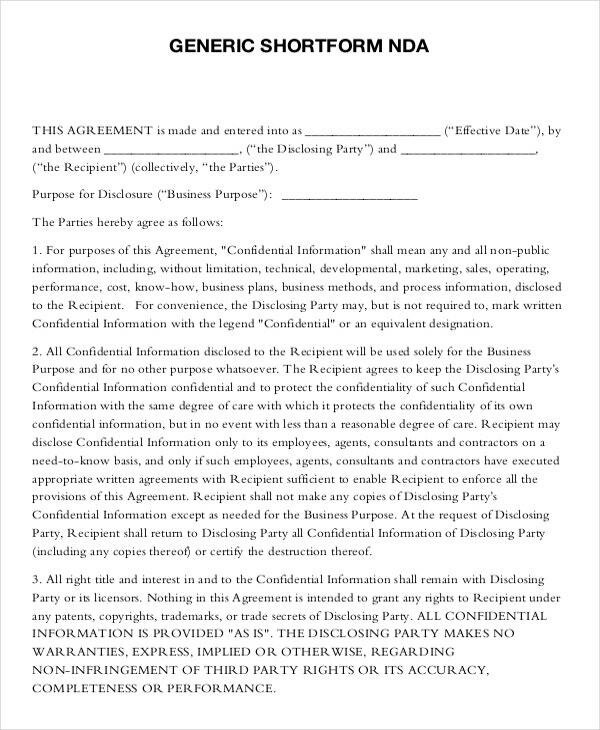 You may also see Non Disclosure Agreement Form. 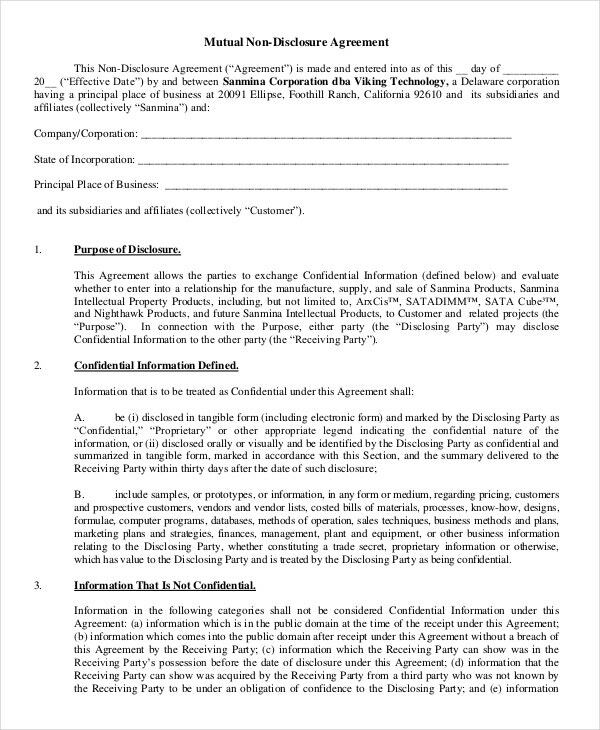 It is the common non-disclosure agreement to make way for two way party secrecy requirement to maintain trade secrets and patent laws; it is fair and square to both parties as Non Disclosure Agreement Templates will keep each other secrets as long as the agreement is valid. 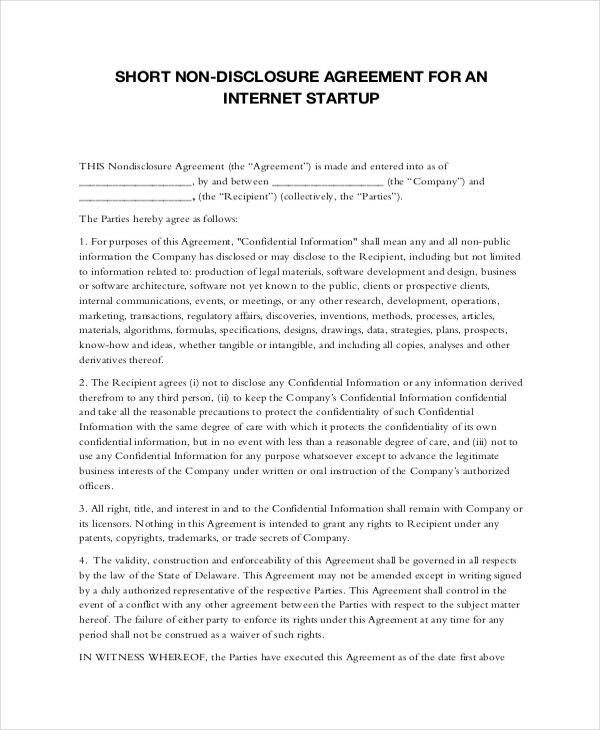 The all-time usable non-disclosure agreement as this will be applied in all kinds of business deals where any privacy of data will be maintained at all cost by the signatories of this contract; it will help you in many kinds of deals as it specifies the basics when needed. Lands and homes are great investments where the owner or brokers can kickback a lot of money when some deals are closed. To have their investments and client’s information is in their safety, whenever they go a real estate non-disclosure will be the safety tool to have where the signatories will shut their mouth to any critical information they know. Maintaining secrets of any kind are vital when it comes to any job, relationship and profession; confidentiality non-disclosure agreement will be your helping hand to make this secrets as secrets by any person who will take part of using any confidential information in their work and trading. In business world, there are new and innovative methods or products that take us to another level of living. 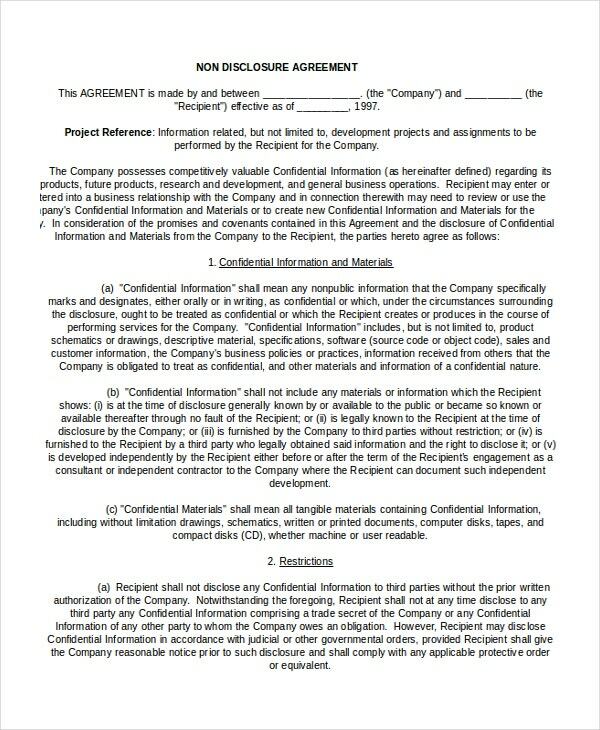 It’s critical to make this information be in the hands of those who invented or created it for long term benefits which why business non-disclosure agreement was made. 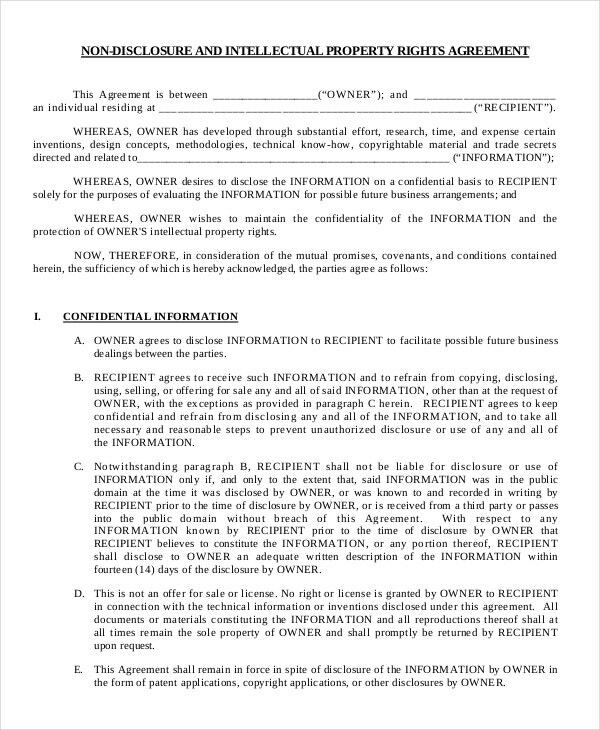 For any simple and direct deals by a staff or independent businessmen, personal non-disclosure agreement can protect any not to be mentioned data in their hands as they make deals with other people that will work for them. It’s straight to the point and exclusive to the transactions done between two or more people to keep their shared data be in their mind only. 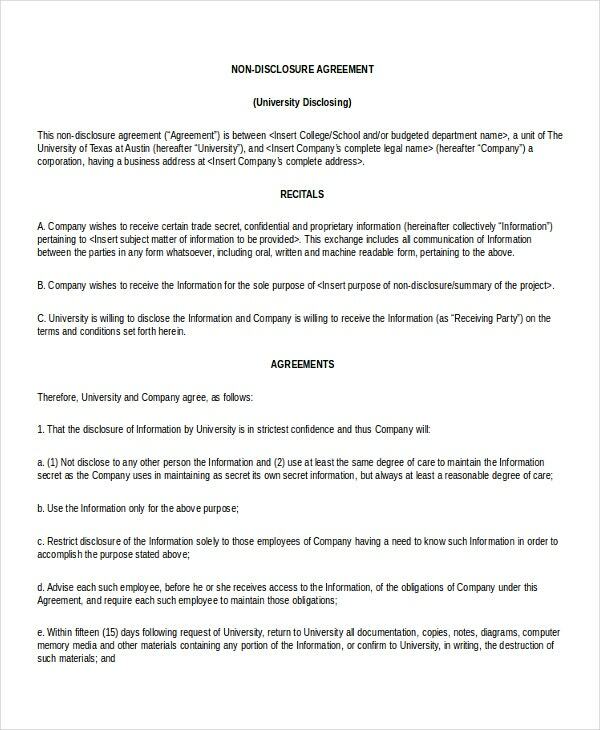 For people that works for others or will hire other people to keep a specific task, this agreement will serve as their basis to which information will be kept as secrets in order to prevent any person that are not involved in the Non Disclosure Agreement Template Examples know any sensitive data which is decisive in the outcome of the deal. It is beneficial like any non-disclosure agreement as both parties will have reciprocal responsibility to each other to take things seriously in keeping the confidentiality of the information they know. 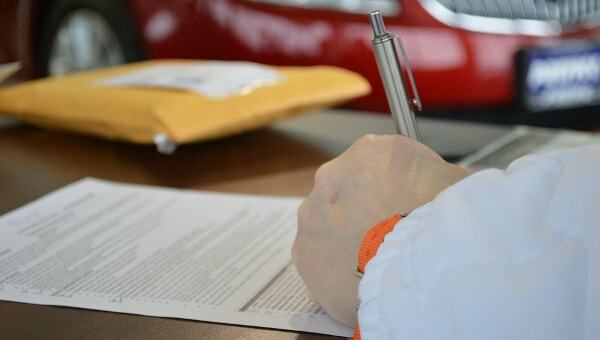 Whether there are some violations done, the Word Non Disclosure Agreement will serve as the basis for any punishment as this contract is fair for the two entities agreed to the terms of it. In Microsoft word, excel or pdf file, the whole contents of the document will be printable and downloadable. 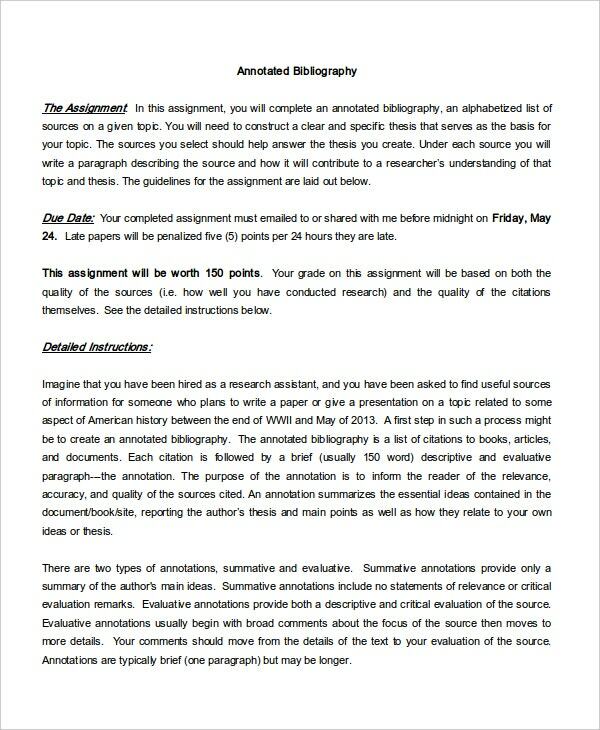 Any revision you want to the document is possible as you send your advice to us.